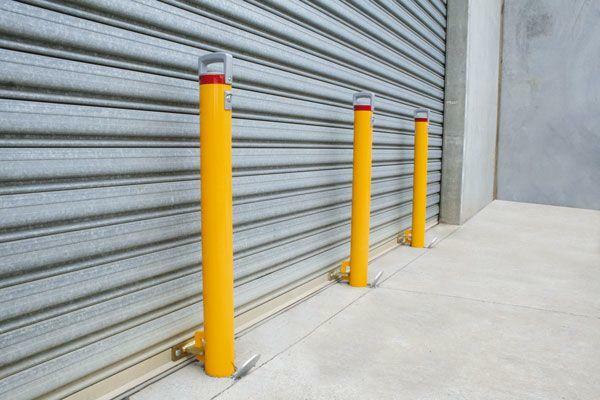 North Geelong based company Barrier Group has manufactured and designed locally made ram raid security bollards since 1999. These bollards are sold Australia wide and to overseas destinations including USA and New Zealand. In the past, we have seen a large increase in the amount of ram raid’s on several businesses selling electrical goods, bicycles and licensed bottle shops. Just recently, ram-raid robberies have spiked again and will unfortunately never stop completely. Do you want to eliminate the risk of ram-raids by ensuring maximum security to your business? The simple alternative to avoid this type of break in is to install either removable or fixed bollards stopping thieves in their tracks by acting as a deterrent from attempted ram raid robberies. Barrier Group manufactures several styles of security bollards like the Cam-Lok and Sleeve-Lok roller door bollards in freestanding or removeable models. These bollards are key-lock or padlock operated. Roller door models come with a heavy duty door assembly to secure the door to the ground. The post actually locks the door down to the ground, thereby offering maximum security against ram-raiding or levering-up of the door. Cam-Lok bollards lock into an in-ground steel sleeve via an internal locking system that uses high security cam locks with registered key. Sleeve-Lok bollards use the same principal but has a hinged hole cap in the in ground sleeve which locks the post down with a security padlock. The removable bollards also have the convenience of being able to be removed during trading hours allowing customers to freely access shop front entries when required. 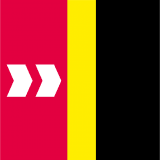 Security bollards can be used inside or outside shop front doorways to avoid unauthorised entry during closed trading hours. Barrier Group can also supply a large range of fixed bollards with sizes ranging from 63mm right up to 220mm to protect shop front windows from potential ram raid attacks. 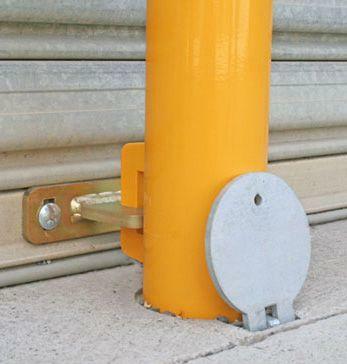 These bollards can be supplied in safety yellow or custom colours and both in-ground and surface mount options. Has your business been the victim of a ram-raid robbery? Share in the comments.